Clean tiles and grout are beautiful, but when they're dirty, they look filthy and unhygienic. Tile and grout cleaning can be challenging and almost impossible for the property owner, especially when the proper cleaning supplies and equipment aren't used. That's why you need a professional tile & grout cleaning company like BCG Management. Since 1999, BCG Management has provided a tile and grout cleaning service that relieves homeowners or business owners of this tiresome chore. BCG Management tried and tested tile cleaning methods will make it look easy, but more importantly, make your tiles shine! 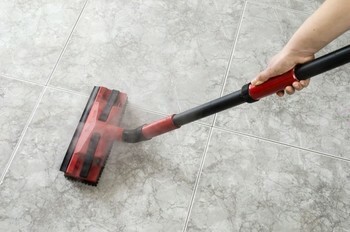 With our service, we promise your tile floor will be restored, looking brand new, and protected. At BCG Management we provide specialized tile and grout cleaners that will restore surfaces to its original pristine state in less than a day, at affordable rates. For more information on tile and grout cleaning in the area, call BCG Management at (504) 224-6234.